HOLLYWOOD — Children may not usually like doctors, but the one doctor almost every child and parent can look forward to is Dr. Seuss. March 2 marked the famous author’s 114th birthday, and in celebrating the occasion, the National Education Association hosted the annual Read Across America initiative, which made its way to Hollywood and Big Cypress. 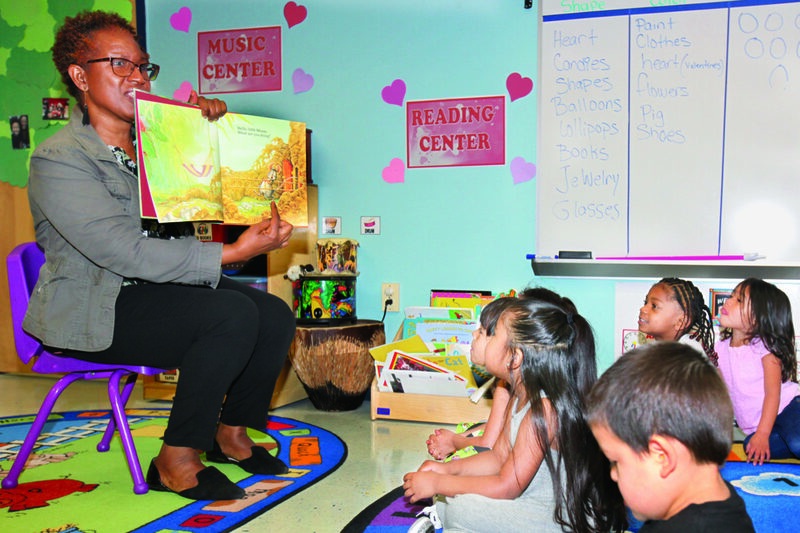 The Hollywood Preschool welcomed guest readers to take part in the celebration from Feb. 26 to March 2. 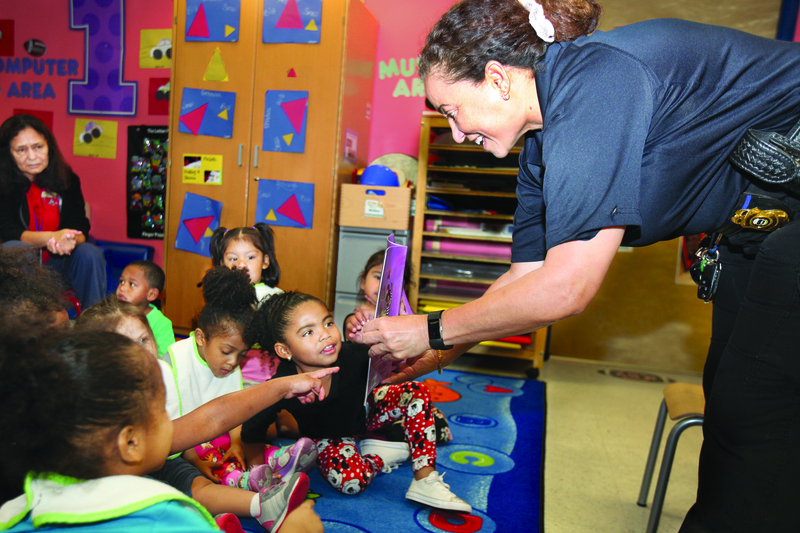 Volunteers, which included parents, Tribal employees, and members of the Seminole Police Department, read children’s books, discussing the stories and answering children’s questions. 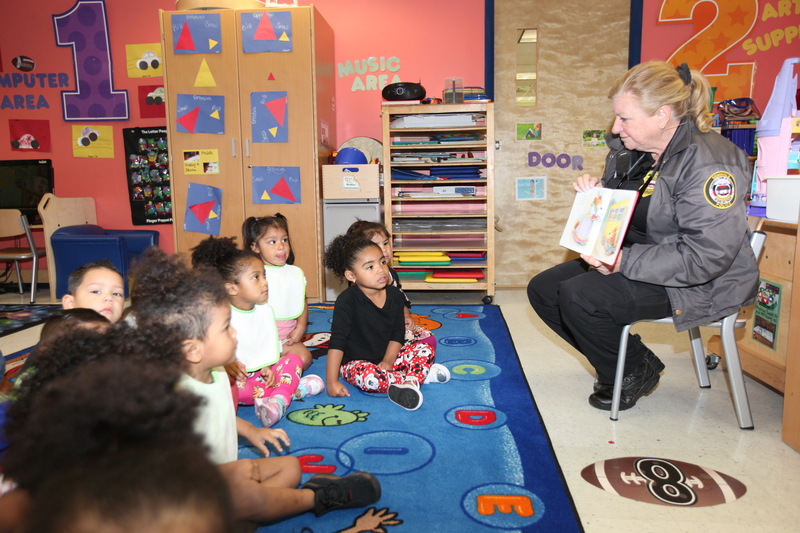 SPD officers Pam Spitzer and Margaret Ortiz visited the preschool on Feb. 28 to visit the 2-year-old class. Spitzer read the book “I Love You Because You’re You,” which she said is a special way to tell children that each one of them is special. “I absolutely love children,” the grandmother of 10 said, explaining that she constantly tries to incorporate reading into her grandchildren’s lives as well as her own. She urges them to buy books at school book fairs and makes sure they always pick out a new book before a new toy when they go shopping. 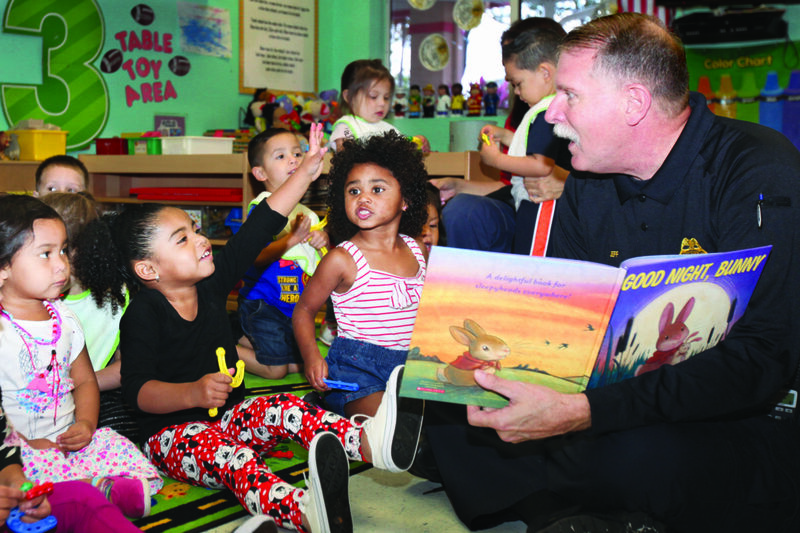 Along with encouraging literacy, Ortiz said that officers volunteering to read to the preschoolers also helps develop a more positive relationship between the police and children. Although this was the first time the two SPD officers volunteered to read at the preschool, they both agreed they would love to do it again. 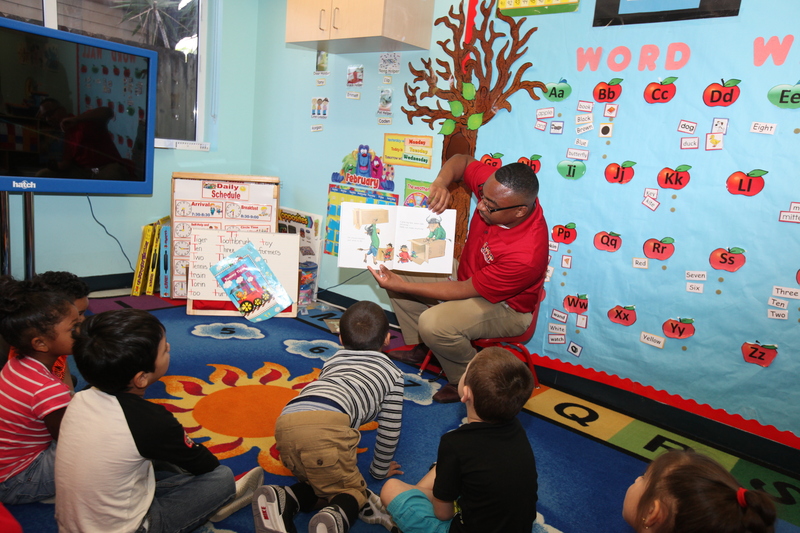 While the preschoolers enjoyed story time, Ahfachkee students in Big Cypress celebrated Dr. Seuss and literacy in a different way. From Feb. 28 to March 2, the school hosted themed days for students to have a little fun while understanding the importance of reading. The themes, based on famous Dr. Seuss books, included The 500 Hats of Bartholomew Cubbins, Oh the Places You’ll Go, Cat in the Hat, Dr. Seuss’ ABC and Horton Hears a Who. Students wore crazy hats, college shirts, dressed like their friends, dressed up like a Dr. Seuss character, and completed random acts of kindness, respectively. 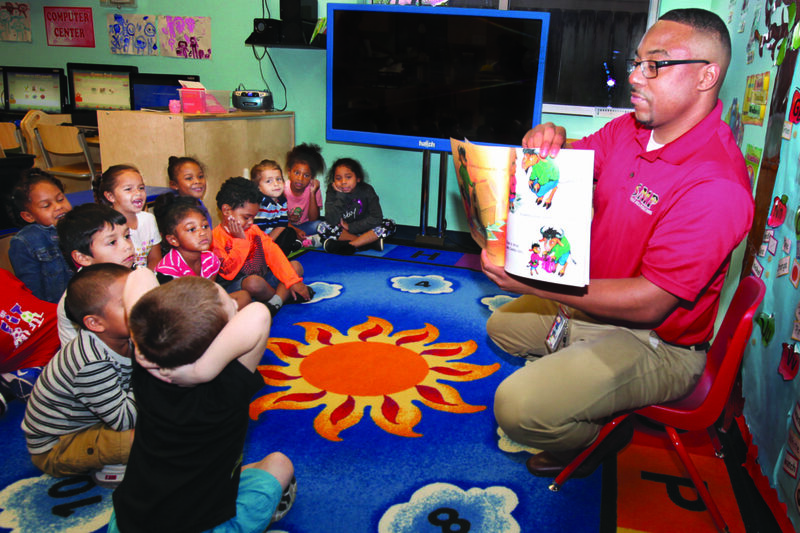 The week also included a book fair for students at Hollywood Preschool, where students could purchase many of the books volunteers read to them, as well as those by Dr. Seuss. Just as the famous children’s author said, “The more that you read, the more things you will know. The more that you learn, the more places you’ll go,” and the Tribe is doing its best to make sure these kids go far.